FATIMA consortium is a trans-disciplinary, inter-cultural, multi-sector team that jointly brings in all the expertise, knowledge, and tools that are necessary for the success of the project. It also brings in a strong resource base of personnel, equipment, and from synergies with other projects that guarantees the fundamental building block upon which the project can develop successfully. 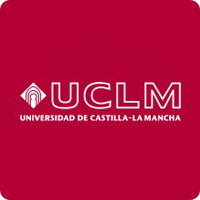 The Instituto de Desarrollo Regional (IDR) is an RTD centre belonging to the higher education and research entity of Universidad de Castilla – La Mancha (UCLM). Th Remote Sensing and GIS Section (Sección de Teledetección y S.I.G. ), participates in FATIMA project as coordinator and as a research partner. The team brings accumulated expertise gained since 1996 on Remote Sensing and GISbased methods for agro-environmental modelling, crop classification and mapping techniques, evapotranspiration, water balance and crop growth monitoring by using time series of EO images. This expertise has been achieved through the participation in numerous national and international research projects, and through the collaboration with other important research centres in Europe. IDR-UCLM has been collaborating for over fifteen years with farmers, Water Use Associations and authorities to achieve an optimum water management in irrigated areas by using EO. This collaboration has led to an operational EO-based service for irrigation water management, paid by the users jointly with the regional government and the river-basin authority (project ERMOT, renewed anually). 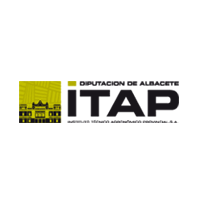 The ITAP is an institute belonging to the Provincial Council of Albacete. It is responsible for the effective management of Investigation and Experimentation Agrifood Services and especially concerning the planning and management of water for irrigation. In 1988, ITAP created the Irrigation Advisory Service (SAR) with the main objective of development, support and management irrigation of the Mancha Oriental y el Alto Segura (150.000 ha). In 1990, ITAP launched the Fertilization Advisory Service, (SAF) to help farmers and technicians on fertilization related to criteria of productivity and quality, all based on the evaluation of the potential of the crop capacity and under technical, socioeconomic and environmental restrictions imposed by each particular situation. Within the area of Research and Development, the Section of Remote Sensing and GIS participates in various projects aimed at setting their water needs by remote sensing (field and satellite radiometry). 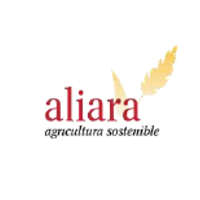 Aliara Agrícola S.L., is an SME which has been providing agronomic advice to farmers in Castilla-La Mancha region for more than ten years. AA has focused in new technologies such as in-field sensors and remote sensing, as farm management decision support tools. At present, AA is involved in the agronomic management of several thousand hectares in a wide range of farms, rain feed and irrigated. Aliara Agrícola has a team of agricultural technicians with the appropriate equipment in order to keep a daily and closed contact with farmers and their crops. ARIESPACE (S.R.L.) is a small-sized enterprise (SME), established in the year 2006 as the first spin-off company of the University of Naples “Federico II. 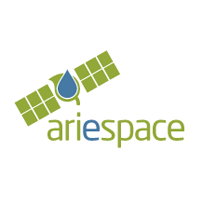 ARIESPACE provides ready-to-use and user-friendly Decision Support Systems (DSS) based on satellite observations, geospatial data and biophysical models. Our aim is to fill the gap between current available geospatial tools and quantitative information needed by people working in the field. 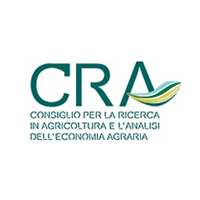 The Agricultural Research Council (CRA) is a National Research Organization which operates under the supervision of the Italian Ministry of Agriculture, with general scientific competence within the fields of agriculture, agro-industry, food, fisheries and forestry. It has 40 Research Centre/Research Units all over Italy, and it’s organized in four Departments: 1. Vegetal Biology and Production; 2.Animal Biology and Production; 3. Transformation and valorization of Agro-Industrial Products; 4. Agronomy, Forestry and Land Use. The Research Centre for the Soil/Plant System (CRA-RPS) of Rome is involved in the following research fields: Development of techniques improving plant growth, nitrogen nutrition and agricultural production; improvement of the qualitative characteristics of agricultural products; the strategic importance of the soil for the environmental sustainability: soil-water functions, applied pedology, GIS models, remote sensing soil and environmental monitoring. The Centre supports the Ministry of Agriculture in the revision of the legislation related to soil, through the extension of official methods of analysis (chemical, physical, microbiological, mineralogical, biochemical) and land evaluation. CRA-RPS has been involved in 36 research projects, both national and international. 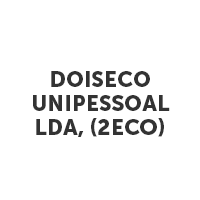 2eco is a SME created in May 2011 as a spin-off of the Centre for Environmental and Sustainability Research (CENSE) of the New University of Lisbon (UNL). The mission of 2eco is to promote the transfer of knowledge and uptake by end-users of results generated by the R&D activities of CENSE in the areas of ecological economics and environmental management, to the benefit of society. 2eco is focused in the interface between ecological and economic systems to promote societal transitions towards sustainable development. Activities developed by 2eco include applied research, consultancy, studies, training and capacity building in environmental and sustainability assessment, socio-economic assessment, environmental policy instruments, valuation of ecosystem services, sustainable business strategies, environmental governance and planning, participation and decision support. It addresses horizontally all sustainability dimensions and main environmental issues, although with a particular focus in water management and biodiversity conservation. 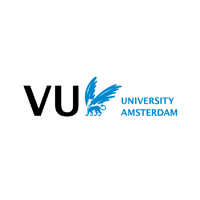 The Institute for Environmental Studies, VU University Amsterdam is the oldest multidisciplinary environmental research institute in the Netherlands, founded in 1971. It is part of the VU’s Faculty of Earth and Life Sciences and consists of 4 main departments: Environmental Policy, Environmental Chemistry and Ecotoxicology, Environmental Economics and Environmental Geography. The 4 departments work closely together on a host of global and local environmental problems, nationally and internationally, including climate change and land use policy, ecosystem services and biodiversity, and water resources management. Besides scientific research, the institute has its own multidisciplinary MSc course on Environmental and Resource Management, attracting every year between 80 and 100 international students. The department of Environmental Economics will lead in this proposal and focus on the economic analysis underpinning the design of novel, innovative farming practices and policy instruments to stimulate sustainable farming behavior and transitions to a more optimal use of external inputs. This includes the economic assessment and valuation of environmental externalities related to changes in nutrient and water inputs, the provision of ecosystem services and socio-economic impacts on farm community livelihoods and vulnerability. Following successful experiences in previous large-scale European research projects, a common socioeconomic research design will be developed to facilitate cross-country comparisons based on the pilot studies foreseen in the project, and draw lessons learned. INRA participation ini FATIMA project will be coordinated by the EMMAH laboratory located in Avignon. The laboratory has about 80 permanent staff including 35 scientists. Its main objective is to contribute to the analysis and prediction of the impacts of global changes (climate, land cover, agricultural practices) on ground water quantity and quality, agricultural production and water cycle, and soil physical and biogeochemical behaviour, in particular in Mediterranean landscapes and territories. To address such issues, researches rely on the use of remote sensed data, the monitoring of experimental sites, laboratory measurements and methodological developments to better understand and model the functioning of Mediterranean ecosystems. INRA will contribute to EO data assimilation scheme in crop models to develop combined N and irrigations recommendation for crop as wheat, sunflower, corn and tomato. EMMAH has contributed to the development the STICS crop model and has developed data assimilation schemes adapted to this model. The laboratory has a strong background in radiative transfer models and has an expertise in field sensors to measure soil moisture and the leaf area index. It can provide experimental facilities (equipped experimental sites, drone) and a network with local farmers that will be involved in demonstration studies. METCENAS o.p.s. 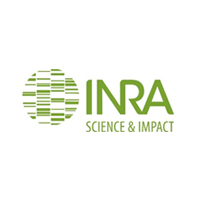 is as an independent non-profit international research and training center aiming to set up technical and research cooperation amongst countries of Central and Eastern Europe and Third countries (Balkan, South Asia and Latin America). Thematically, activities of METCENAS are focused on climate change and landscape management, integrated environmental assessment (IEA), integrated water resources management (IWRM), flood risk management and resource efficiency. 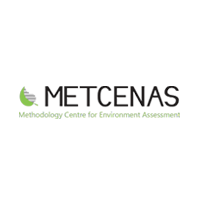 Started by researchers and practitioners and driven by the explicit requirements of the institutional network, METCENAS provides a broad spectrum of practical and advisory services. The Research Institute for Soil and Water Conservation (VUMOP), is a public research institution, devoted to a broad range of research activities in soil science, water resources, land and agricultural management, geo-ecology and water quality, irrigation and drainage issues. VUMOP provides expert assessments, design and realization of many subject-related state, commercial or private projects and works. The Institute creates and maintains a unique soil database for the whole area of the Czech Republic in the scale up to 1:5.000 that covers all the agricultural land of the country. Furthermore, VUMOP proposes delineation and management of water supply protective zones within drinking water reservoir basins of the Vltava river watershed. Specialization and the research intentions of VUMOP meets the main goal of FATIMA, which is to establish innovative and new farm tools and service capacities that help the intensive farm sector to optimize its external input management (nutrients and water) and crop productivity. BOSC is a spin-off research and development company based in Latvia with focus on both directional transfer of expertise between Latvia and Czech Republic and participation on European Research. BOSC specialists have more than seven years work experience in 5th, 6th and 7th framework projects and other and more than 30 years of experience in scientific work. Main partners in research and solutions development are Institute of Mathematics and Computer Science, University of Latvia (IMCS UL) and non-profitable Czech association CCSS. BOSC is able to use resources on IMSC and CCSS and has access to large ICT infrastructure, but also to large amount of existing software infrastructure, mainly in the area of Web GIS. 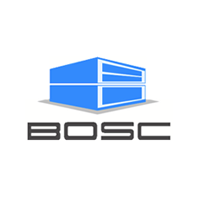 The main goals of BOSC are to participate in research activities, new development, new models of collaboration, testing and exploitations of new systems and technologies for data collection, data analysis and communications. The main specialization is rural development, sensors and ICT for agriculture. BOSC customers are public sector companies and private companies. BOSC is working in the area of environment, agriculture and public services. 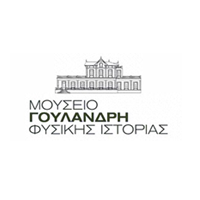 The Goulandris Natural History Museum is devoted to the study, conservation and protection of the natural environment. It has developed efficient scientific activities for the confrontation and reduction of environmental threats against the planet and for the rehabilitation of natural resources for the preservation of life. The Soil Ecology and Biotechnology Laboratory of Gaia Centre is equipped with state-of-the-art analytical instruments for measuring soil, water and specific atmospheric pollutants. The main research focus is the sustainable management of agricultural land for the purpose of reducing chemical contaminants, conserving natural resources while at the same time enhancing production. The research programs of Soil Ecology and Biotechnology Laboratory have been extended, in close collaboration with other laboratories in Greece, the European Union, the United States and Australia, and are focused on the development of sustainable management practices in agriculture. The laboratory has extensive research experience in the field of remote sensing technologies for promoting site specific management in agro ecosystems. Real-time multispectral sensors are currently tested for their ability to detect plant health and to predict crop yield in cotton, wheat and vineyards. 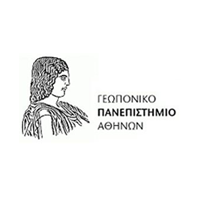 The Directorate General of Agricultural Research of the Hellenic Agricultural Organization –Demeter is the national body responsible for agricultural research and technology in Greece, functioning as a Legal Private Entity sponsored by the Ministry of Agriculture. It is also in charge of research for technological improvement and development in agricultural, forest, and fish production, it is also concerned with topics of veterinary, management of marine resources, soil science, land reclamation, processing and preservation of agricultural products, as well as agricultural economy and sociology. The Institute of Soil Mapping and Classification is in charge of carrying out research on soil science including soil genesis and classification, soil fertility and plant nutrition, soil and water pollution etc. The Institute of Soil Mapping and Classification has a great experience on Greek soils obtained through the National Project for the compilation of the Soil Map of Greece. During the last years, the Institute was involved in projects related to integrated soil and water management, application of earth observation data for agriculture and the environment, and development of geographical information systems for the integration and processing of data in precision agriculture. 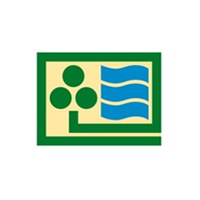 The Water Resources Management Division of Agricultural University of Athens (AUA) consists of several Labs and units, one of which is the Water group (AUAWAT), including also a Remote Sensing and GIS group, which participates in FATIMA consortium as a research partner. The team brings expertise on irrigation water management and networks, agricultural hydraulics, soil physics and chemistry, surface and groundwater hydrology, land surface-atmosphere interactions, remote sensing and GIS in agriculture, environmental hazards, climate variability and change: impacts-mitigation-adaptation, geo-informatics in agriculture. This expertise has been achieved through numerous national and international research projects, as well as collaboration with several research centers in Europe. Moreover, AUAWAT has been in continuous collaboration with several farmers unions, local and district agricultural water authorities. 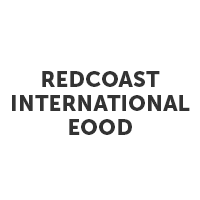 Red Coast International is a newly established private company based in Sofia (Bulgaria) investing in research, development and provision of services for new technologies, laboratory instrumentation and design in agricultural and environmental sciences. 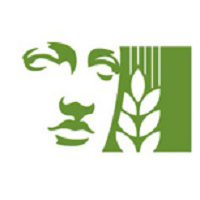 The first project of the company in the area of agricultural sciences concerned the testing of new fertilizer products for the private industry (Roullier Group, France) in long-term greenhouse and field experiments in order to evaluate crop growth, product quality and fertilizer use efficiency of wheat, barley and table grapes. The company is further investing in collaborations with industry in remote sensor technologies and electronics (Holland Scientific) in order to aggressively explore emerging applications in the field of precision agriculture for increasing crop yields and protecting the environment. For this purpose and for setting a solid scientific background, the company proceeded to collaborate with Dr. James S. Schepers, former director of USDA Agricultural Research Service and expert in precision agriculture technologies, and assign him as its principal scientific advisor and consultant. 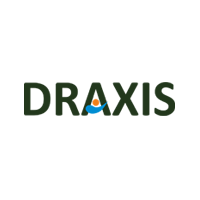 DRAXIS was founded in 2000 in Thessaloniki – Greece, focusing on providing consulting, solution development, implementation and management of Environmental Technologies. DRAXIS can support the whole life cycle of Environmental projects, from the requirements to the development and the implementation and finally, to management and maintenance. DRAXIS can assist local, national and European authorities, as well as private organizations, in Environmental Management and its effective integration into the decision making process. Through the combined use of Geographic Information System technologies, Environmental know-how and Environmental Remote Sensing and Database Software Products our clients can achieve substantial improvements in Environmental performance. Through the various EU projects, and especially the ENORASIS project, in which we were coordinator, we obtained the expertise in market consolidation, dissemination and training. Thus, DRAXIS is the appropriate partner to disseminate the project activities and results in creative ways and to raise awareness on the potential benefits of FATIMA solutions in the wider community. 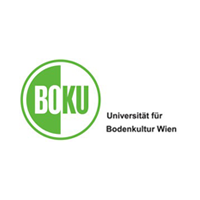 The University of Natural Resources and Life Sciences (BOKU) is a public teaching and research center combining natural sciences, engineering and economic sciences to support ecologically and economically sustainable use of natural resources. The Institute (IVFL) focuses on applied remote sensing and geo-spatial technologies. In this project, IVFL will be responsible for the activities in the Austrian pilot site (Marchfeld) and will be involved in the development and validation of the EO processing chain. IVFL profile matches the expertise required for these tasks in several aspects. The Institute has been directly engaged in the development of operative solutions for vegetation (health) monitoring and irrigation water management based on remote sensing, including transfer of technology to applications (for irrigation, drought, yield monitoring). This includes the implementation of automated data processing and advisory services for agriculture: at course resolution (regional scale with MODIS data), currently assessing the crop productivity in Brazil and running an operative drought monitoring system in Kenya. At finer spatial resolution (parcel level with Landsat-like data) IVFL supports irrigation and crop management in Marchfeld. The team has also investigated and developed methods for the exploitation of new sensors data (e.g. PROBA-V, Sentinel-2 & -3 missions), has a wide practical experience in field campaigns for validation of satellite products and evaluation with users. 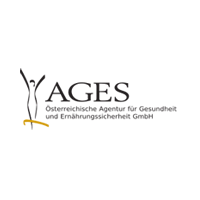 AGES is a government owned agency with public mission and research organisation attached to the Austrian Federal Ministry for Health and to the Federal Ministry of Agriculture, Forestry, Environment and Water Management. Key responsibilities of AGES are agriculture, food safety and food security, nutrition, food quality and public health. AGES´ seven business areas are Agriculture, Veterinary Medicine, Food Control, Human Medicine, Medicines and Medical Devices, Statistics and Risk Assessment and Analytical Competence (National Reference Laboratories). AGES employs a staff of 1.350 persons, of whom more than one third is scientists or experts with academic degrees in nearly all disciplines related to food and health safety (approx. 300 PhDs and 15 scientists teaching at Universities). The department for Soil Health and Plant Nutrition is responsible for soil and fertiliser analysis (e.g nutrients N, P, K; organic matter), soil monitoring and fertilisation tasks in the context of sustainable plant production. The department for Field Trials and Experimental Facilities holds 4 reference stations in the main Austrian crop production areas, one of them in Marchfeld. It carries out field experiments investigating sustainable crop production systems (fertilisation, tillage) and variety testing. 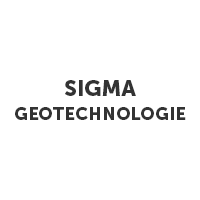 Nikolaos Spyropoulos Geotechnologie – SIGMA is a privately owned personal entity headquartered in Munich, since 2005. SIGMA is committed to true infomobility science including geomatics and is experienced in the use of telematic networks to provide fast, reliable and up-to-date strategic information for various highly demanded actors working in fields of geo-sciences, telecoms, visual forensics vision science and visual technology. SIGMA is also specialized in Security applications (Security and Intelligence) integrating digital geographic data and Iris based biometric systems. The company’s efforts are directed respectively by founder Dr. Nicos Spyropoulos. Dr. Spyropoulos oversees and manages all aspects of empirical infomobility science incorporated into the work conducted by SIGMA Working internationally as EOSAT, Space Imaging, Definiens AG Munich , ZOElectronic, Cosmoline, KBI 5CI executive and as project manager in various Directorate Generals (DG-XI, XII , XIII, Comett, MedSpa, ACTS, Interreg III-C, European Social Fund) of the European Commission. Dr. Spyropoulos is uniquely qualified to manage the company’s research and development and its implementation of infomobility into all phases of geomatics work. 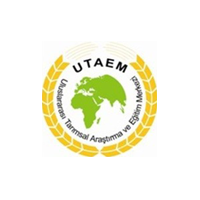 UTAEM is one of the institutes that work under the General Directorate of Agricultural Research and Policies within the Turkish Ministry of Food, Agriculture and Livestock. It is a research and training center which focuses on international co-operation in land and water management. The objectives of the Centre are: to identify the constraints that are actually limiting sustainable performance, to develop and test appropriate cost-effective responses to address the constraints, and to guide and accelerate the learning of individuals so that they realize their potential. UTAEM is collaborating with local institutes and universities in the Aegean Region on soil and water management issues. Administratively, UTAEM works in collaboration with regional universities, mainly with Ege University, and (48) affiliated research institutes and country wide extension offices of the ministry in both research and training activities. UTAEM organizes international training courses on topics related to agriculture every year. It works as a bridge between research and the real agricultural sector by acting on agricultural research and dissemination of information by training and consultation activities. UTAEM has five technical units on soil management, irrigation management, basin management, economics, and mechanization and information, which supports the proposed project at multi levels in knowledge and experience. The Institute has been carrying out various projects on soil and water resources form basin to field scales. 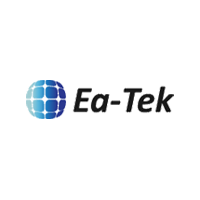 The basic objective of EA-TEK is to carry out multidisciplinary scientific and technological research and applications for sustainable management of natural resources, including the environment in general and water and land resources in particular. Within this framework, EA-TEK deals with problems and projects related to natural resources, natural hazards, water resources management, agriculture, energy, and urbanization through research and application projects, socioeconomic analyses for water management, feasibility studies, consultancy and preparation of environmental impact assessment reports, marketing, training, and organization of meetings/workshops. The members of the research team at EA-TEK carry out training, research, and project activities devoted specifically to water resources planning and management, irrigation management, water pollution control, erosion control, hydrologic modelling and simulation, environmental data management, software development, database development, development of decision support systems, and remote-sensing & image processing for water/land and coastal zone management. EATEK has participated in several EU funded projects as contractor and sub-contractor. EA-TEK is a spin-off enterprise of SUMER, the Water Resources Management Research and Application Center at Dokuz Eylul University in Izmir, Turkey; her active employees are academics from Dokuz Eylul University, with expertise on water resources management, sustainability and multi-criteria decision making in water resources systems, remote-sensing and image processing, water balance and quality modeling, environmental data management and GIS applications.